(McMinnville, Oregon) – Three days of awesome wine get paired with killer scenery and fabulous food at the Oregon Wine Country Thanksgiving this week, happening November 28 through 30 across over 160 wineries. The state's famed wine industry is on display across almost a 200-mile radius, stretching from the Cascades to the Coast Range and down the Willamette Valley, with the epicenter in the Oregon Wine Country of Yahmill County. By far and away the most wineries are found in tiny charmers like Gaston, McMinnville, Dayton, Amity, Newberg and Yamhill – mostly in the lush countryside. But some are down as far as Eugene, in Salem, as far east as Cornelius and out around Hillsboro. Half of the fun is the excuse for a scenic ride as you trail along the rolling hills of these stunning spots, winding roads and lush backgrounds, taking in the last of the Fall colors in the area. Hours will vary but most wineries are open 11 a.m. to 5 p.m. Almost all have a tasting fee and these are usually about $20, but this can vary greatly as well. 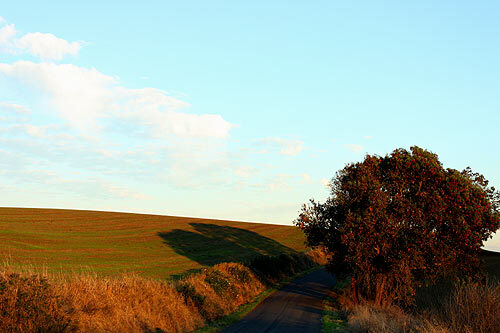 See http://willamettewines.com/event/wine-country-thanksgiving for the full details of each winery. For places to stay in the area, see the Oregon Wine Country Lodging Sampler. In Newberg's wine country, Alexana Estate Vineyards & Winery is boasting its recently released 2012 Pinot Noirs, along with an interesting three-level gravity flow mechanism. 12001 NE Worden Hill Road, Newberg. 503-537-3100. In Polk County, not far from the Coast Range, Illahe Vineyards has their limited estate Pinot noirs, Pinot Gris, and Riesling paired with light nibbles. 3275 Ballard Road, Dallas. 503-831-1248. Bethel Heights Vineyard in Salem is featuring their limited 2012 Pinot noirs and the newly-released 2013 Casteel Chardonnay. Also included is a charcuterie and a Riedel Oregon Pinot Noir Glass. 6060 Bethel Heights Rd. NW, Salem. Van Duzer Vineyards near Dallas – just shy of the Van Duzer Corridor – has fab views along with old and new favorites. Food treats and special packages available for purchase. 11975 Smithfield Road, Dallas. 503-623-6420. The ultra quaint town of Gaston in Oregon Wine Country features Patton Valley Vineyard. They will be serving a five-wine flight of small production red and white wines, featuring a special pour of their 2012 Clone 777 Estate Pinot noir, along with nifty snacks. 9449 SW Old Highway 47, Gaston. 503-985-3445. Famed Ponzi Vineyards is over in Sherwood, with a fireside wine experience that includes the acclaimed Ponzi single vineyard Chardonnays. Sample new seasonal small plates to pair with your tastings. Local artisan Briar Rose Creamery shares their cheeses – and the views are legendary. 19500 SW Mountain Home Road, Sherwood. 503-628-1227. One of the kings of Oregon Wine Country, Sokol Blosser Winery, headlines its Thanksgiving Open House with a tasting of its highly anticipated and newly released 2012 Dundee Hills Pinot Noir as you sample new gourmet Sokol Blosser food products. 5000 Sokol Blosser Lane, Dayton. 503-864-2282. Close to the Oregon Coast Range, David Hill Vineyards & Winery in Forest Grove is in the middle of gorgeous, bucolic lands. This historic farmhouse is where they will be sampling Chardonnay, Riesling, Gewürztraminer, Pinot noir, Tempranillo, Merlot and two Port wines. 46350 NW David Hill Road, 503-992-8545. 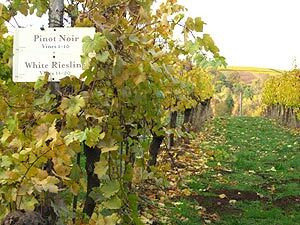 All the way south to Eugene, Iris Vineyards is providing a selection of Pinot noir, Pinot gris, Chardonnay, After Dinner Chardonnay, Pinot noir Reserve, Syrah and Red One. Enjoy mesmerizing views from its tasting room. 82110 Territorial Hwy, Eugene. 541-242-6588. Back in McMinnville and the famed wine country, Brittan Vineyards is having a taste of its new 2012 Pinots. Also on hand: local labels deLancellotti, Ermisch, Fairsing, Meristem, Winderlea and Youngberg Hill. 829 NE Fifth Street, Ste 700, McMinnville. 503-989-2507. 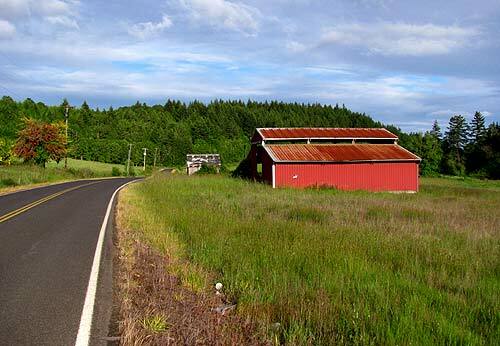 Near Hillsboro, J. Albin Winery is a home vineyard tucked into the Chehalem Mountains. Check out the highly praised sparkling wines and pinots, top-of-class Pinot gris and some luscious small lot Cabernet Sauvignon wines. Some delicious nibbles will be provided. 19495 Vista Hill Drive, Hillsboro. 503-628-2986. All the way over in Cornelius, east of Portland, A Blooming Hill Vineyard & Winery has music on Friday and Saturday, and of course pinots are heavy on the menu. In fact, one of their bottles starred ever-so briefly in an episode of Portlandia. 5195 SW Hergert Road Cornelius, Oregon. 503-992-1196.